Gehlot said instead of being misled by Modi’s tall promises, people should remember “India became a superpower under former prime ministers Jawahar Lal Nehru and Indira Gandhi”. 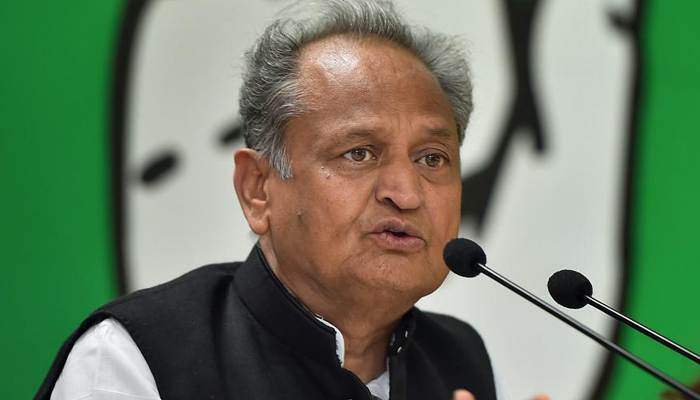 Jaipur: Rajasthan Chief Minister Ashok Gehlot Tuesday slammed the Narendra Modi government for “highlighting” military actions like surgical strikes as its achievements and said this was due to lack of experience in the NDA dispensation. The NDA government lacks experience. They highlight surgical strikes. This never happened before. In the rule of former prime minister Indira Gandhi, Pakistan was divided into two (nations) but she never claimed it as her achievement and rather gave credit to the Army, Gehlot said at public rally in Bawdi area of Jodhpur’s Bhopalgarh town. He has no achievement to list… He should give an account of works done in five years, Gehlot said. Targeting former chief minister Vasundhara Raje, he said her government had barred “less educated people” from contesting Panchayat elections but the Congress government scrapped this decision.